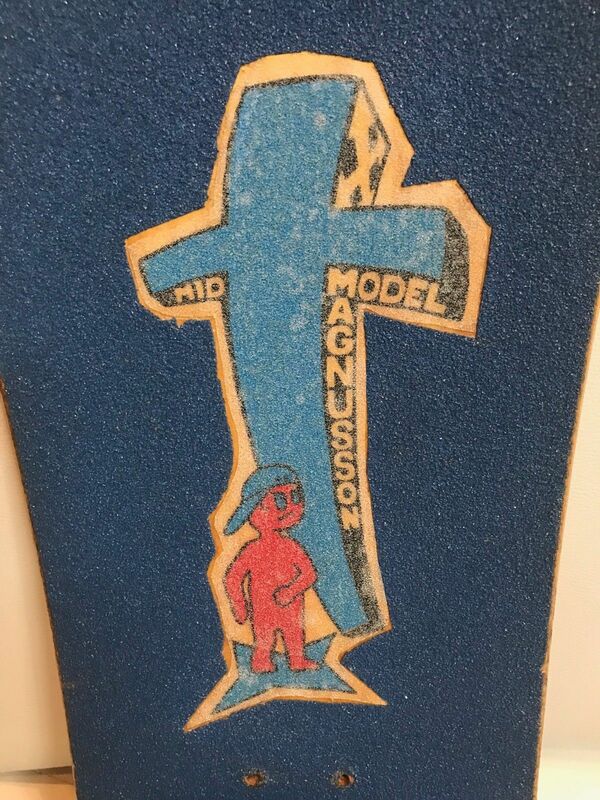 Up for Sale is a mint condition H-street Tony Mag Cross holding boy deck from issued in 1990. 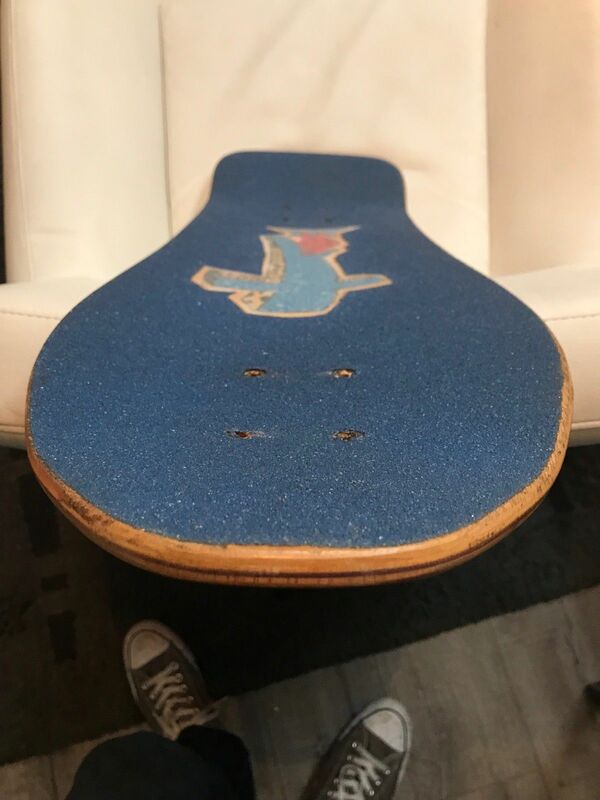 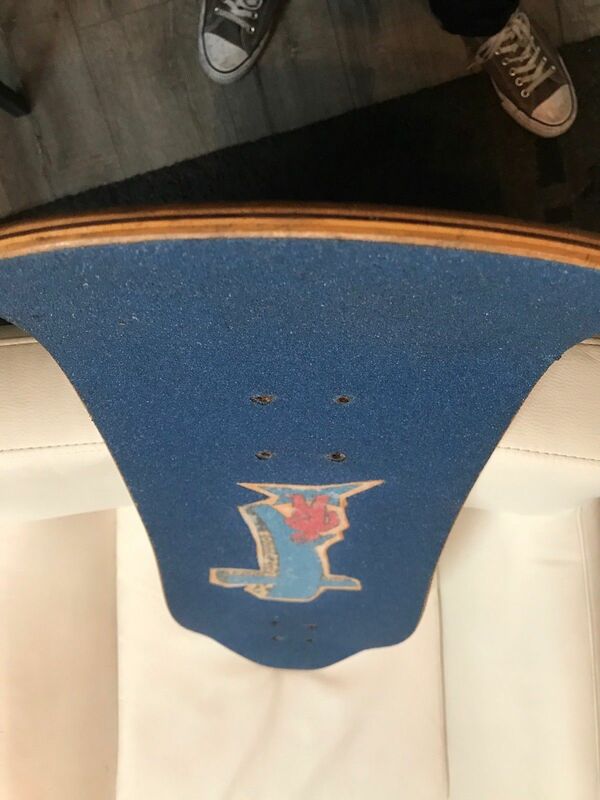 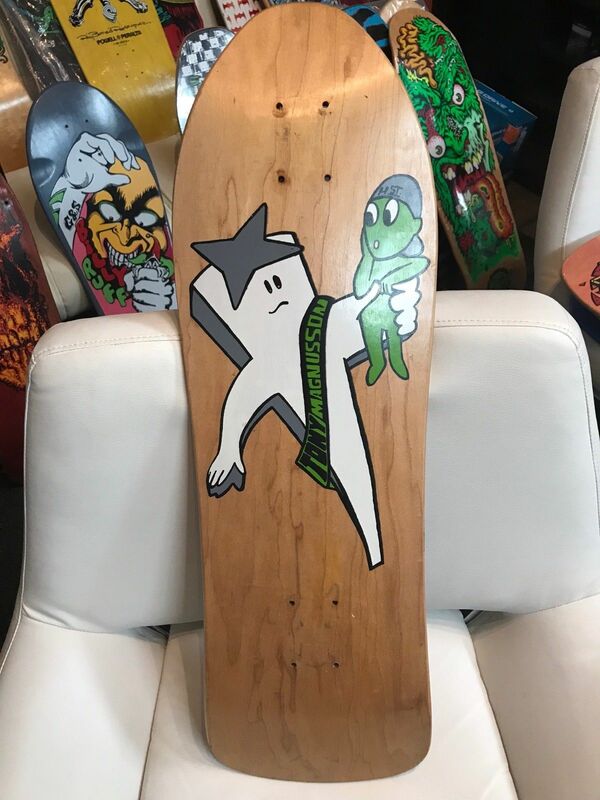 This has been gripped but never ridden or mounted, no warps or cracks Pictures do not do this justice, the colors really pop, the deck is so big and old school, looks super amazing, hard to believe it's over 25 years old! 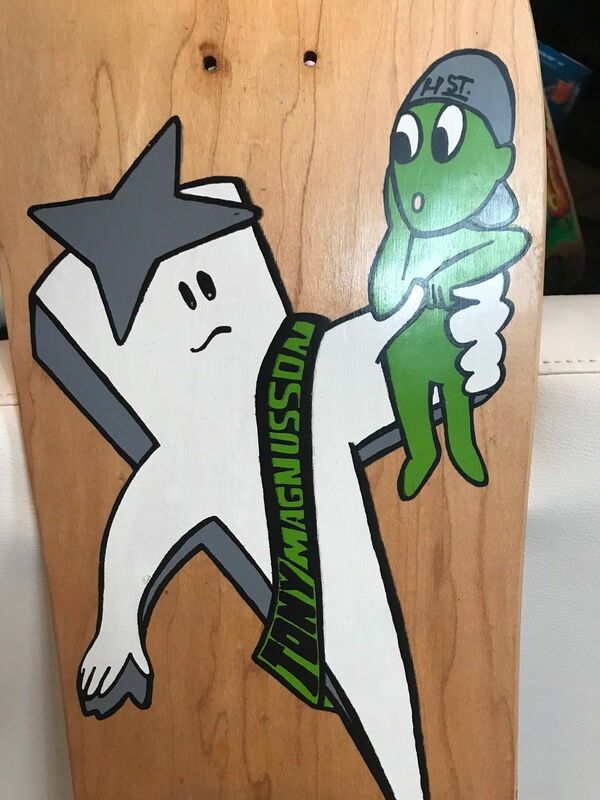 100% original and not a re-issue. 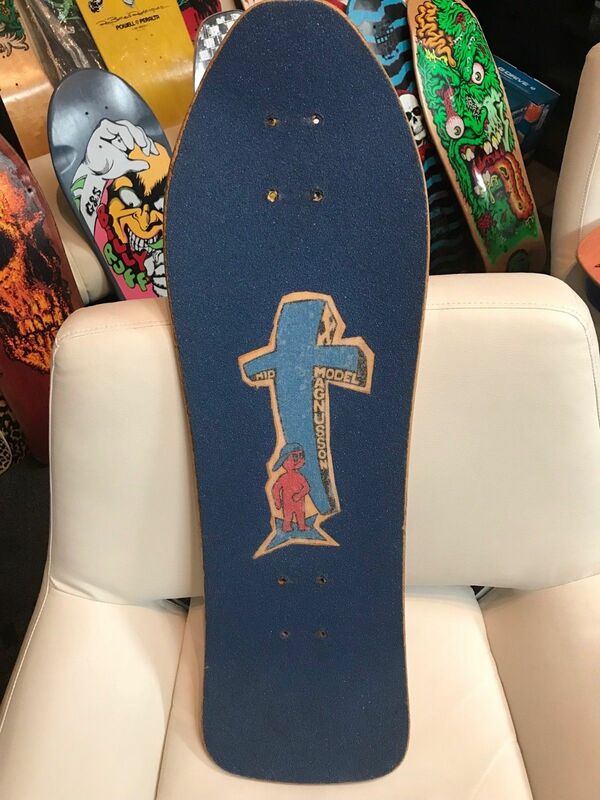 A must have for any H-street or Tony Mag collector.